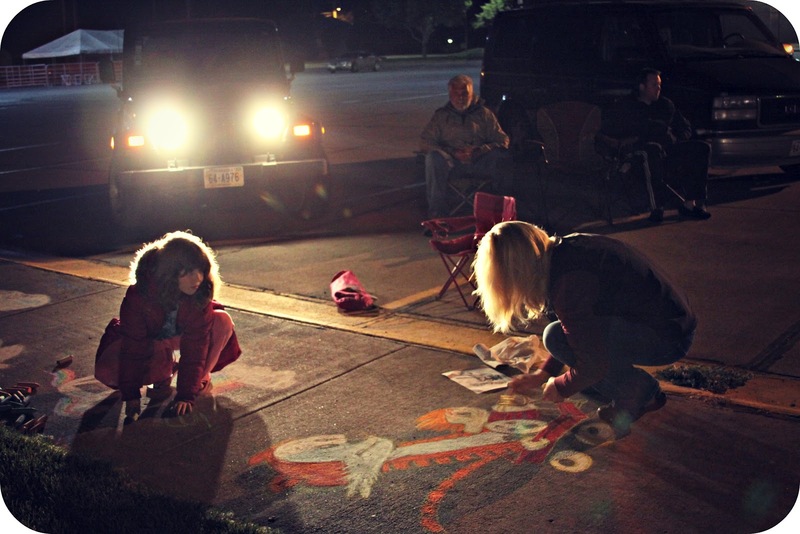 Tonight my friend Susan & I had to draw up some sample chalk drawings to lure in customers & set the atmosphere for tomorrow's Sidewalk Chalk Contest for Camp Clarke Days, an annual local event held here every summer. I dragged the girls along & let them draw with chalk too. I say "let" because we were up until after midnight! EEK! But it's summer. Party on! Susan's hubby & my Mr. sat in camping chairs in the parking lot, visiting, while we created our masterpieces. 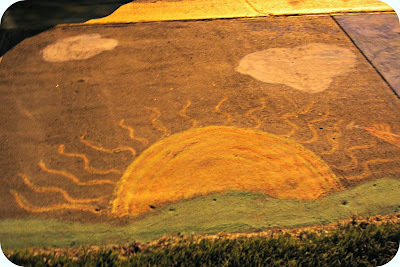 Zoey drew the sun with clouds, but she pooped out fairly quickly & went to sleep in the van. 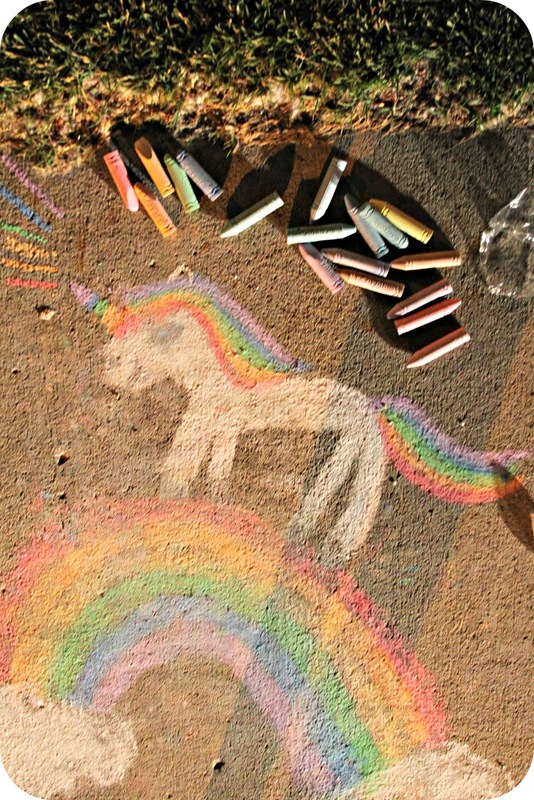 Pazely made a rainbow with a unicorn. Susan created her favorite Calvin & Hobbes. And I made a hot-air-balloon-in-the-clouds-crazy-colored picture, which is not shown. I'll get better pictures tomorrow in the daylight at the festival. I'm showered, feeling clean-n-awesome, & ready to crash hard before the fun tomorrow! how fun! 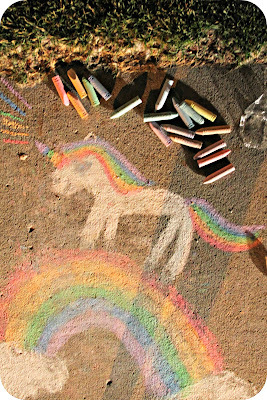 I love the unicorn and rainbow! And from what I can see of the Calvin & Hobbes, that's pretty awesome!